1) How much was Charles Dickens paid when he worked at Warren’s Blacking Factory at the age of twelve? 2) What did Charles Dickens teach himself after buying Gurney’s Brachgraphy? 3) With whom Charles Dickens had a love affair that ended in 1833? 4) For which newspaper Charles Dickens reported Parliamentary debates? 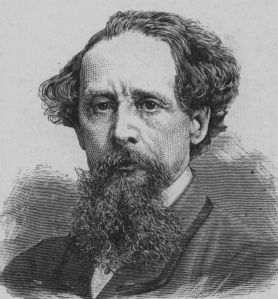 5) Which was Charles Dickens’ first novel? 6) On whom was the charater of Mr. Micawber in David Copperfield based? 7) On whom was the charater of Mrs. Nickelby in Nicholas Nickleby based? 8) In which novel of Charles Dickens Magwitch is arrested? 9) In which year Charles Dickens’ novel A Christmas Carol appear? 10) Which revolution dominates A Tale of Two Cities? Please send some sample quizzes. We will go through it and let you know. Pls can you add something about Dickens personal life! !